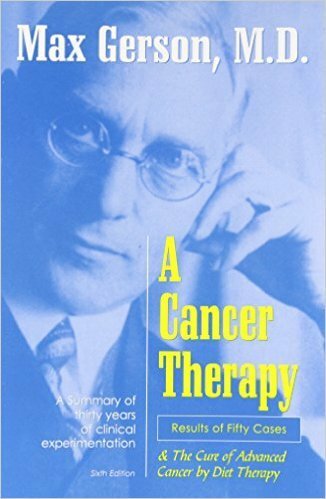 In 1958, based on thirty years of clinical experimentation, Dr. Max Gerson published this medical monograph. This is a complete book on the Gerson Therapy. Dr. Gerson, who developed the Gerson Therapy, explains how the treatment reactivates the body's healing mechanisms in chronic degenerative diseases. The book incorporates a comprehensive explanation of the theory with scientific research and the exact practice of the therapy, as well as a presentation of fifty documented case histories. Also included is a modified version of the Gerson Therapy for use with nonmalignant diseases or preventative purposes.